The Rotor coffee table is formed from a series of square components which are linked, so as to rotate around each other. This means that the table can be customised by moving the parts around, creating a unique item of designer furniture that is both beautiful and fun to use. The middle squares can be rotated 360 degrees, creating space to store cups of coffee or magazines, while the upper and lower squares are fixed in place to guarantee stability and complete the harmony of the table. Rotor can be produced with laminate surfaces, it can be lacquered or have a glossy matte or wood finish. 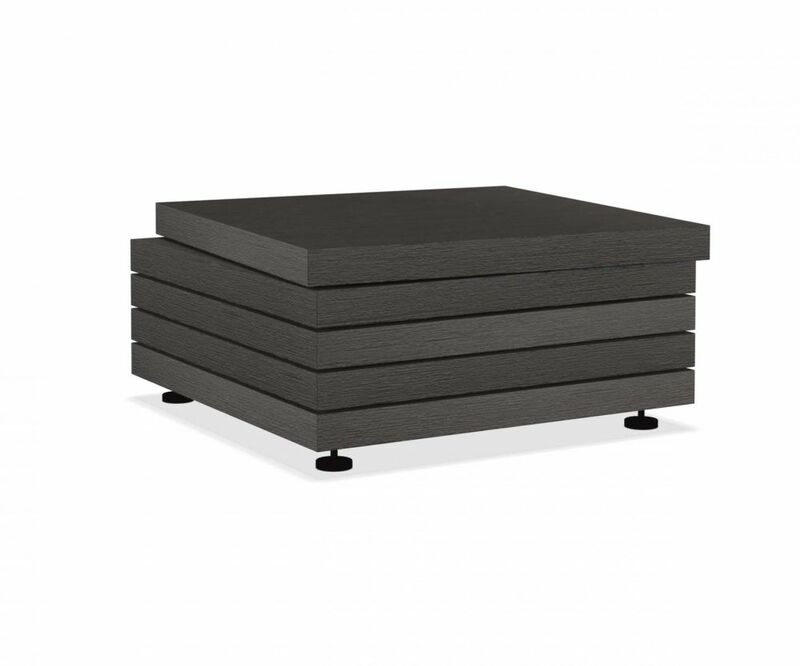 This table is not just ideal for living rooms or other spaces around the home. With its impressive appearance, Rotor can be placed to good effect in offices and waiting rooms, to add an original touch of imagination to professional environments.